14.06.2016. 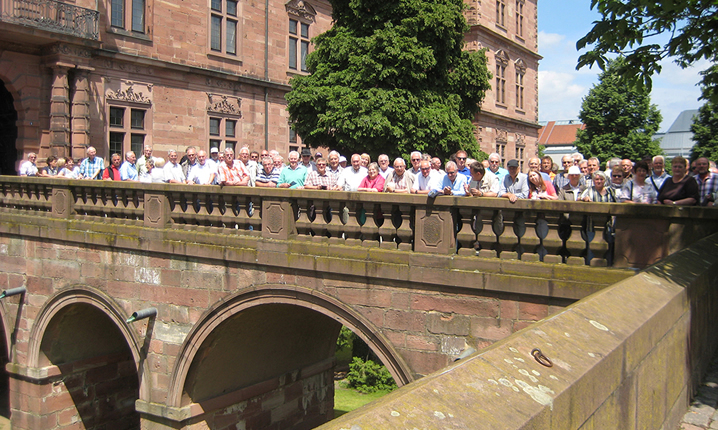 Breathtaking city visits, trips on boats or steamers – a tour with the Friedhelm Loh Group’s “Senioren-Club” is a highlight in the calendar of every former employee’s year. Not only because an there is always a fascinating excursion, but also because their volunteer work is rewarded through relaxing together. This year was a special one for the pensioners, because their club has now been in existence for 15 years. They have been active in the region since 2001, keeping in touch with and taking care of each other. Going on a long trip together twice a year is a fond tradition of the Friedhelm Loh Group’s “SeniorenClub”. This year, around 170 senior citizens again made their way to Bavaria – high up in the hills, out onto the lake and all over the countryside. But this time around, things were slightly different. 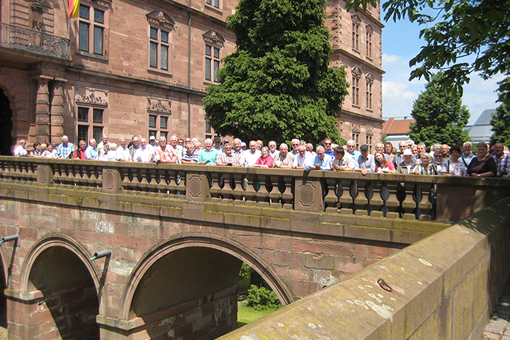 First the retirees explored the venerable Johannisburg Palace in Aschaffenburg. Then their riverboat took them through the picturesque countryside scenery along the river Main. Finally, they strolled, chatting, through the imposing monastery garden in Seligenstadt, they also commemorated the club’s 15th anniversary. Currently, the Friedhelm Loh Group’s SeniorenClub has around 570 members who continue to share ideas, network and stay in touch – even after their active professional life has ended. During their working life, they had all worked in the various companies of the Friedhelm Loh Group. Now, they are actively cooperating, pursuing social goals in their former employer’s region. 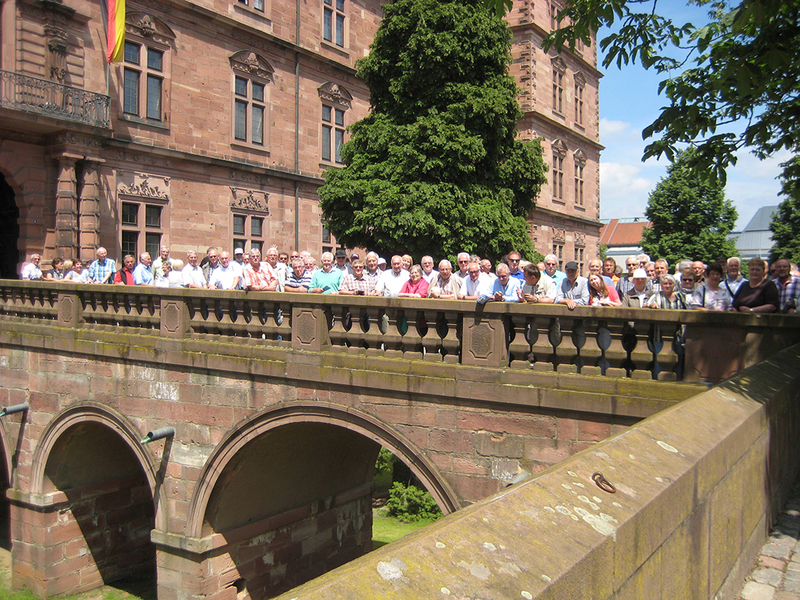 Image: Community counts: In Aschaffenburg and Seligenstadt, around 170 senior citizens celebrated the fifteenth anniversary of the Friedhelm Loh Group’s SeniorenClub.